Body worn cameras are mainstream item in modern day police forces. Now more than ever, video proof is used to ensure the safety and security of members of the public and officers in the field. They can also prove an invaluable resource when perusing a conviction, or identifying suspects in large crowds. 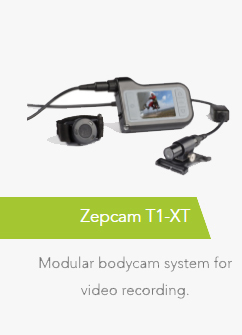 Zepcam body cameras are easy to wear, simple to use and with Zepcam software integration, guarantee excellent live streaming video technology aiding effective policing in modern times. 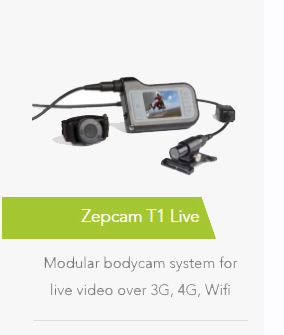 The Zepcam T1 Live is a modular system which comprises recording unit, camera, modem and remote control to direct the live streaming. These are Ireland’s complete body camera solutions recording full HD evidence and robust live video streaming via 3G, 4G AND WI-FI. 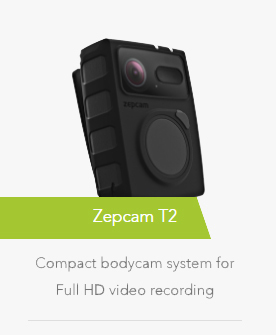 Zepcam Body cameras are supported by and open software platform that includes vehicle cameras and wireless CCTV. We can ensure that you have eyes in the field, everywhere. Body Cam and Body worn videos improve situational awareness, allow for review and video documentation or industrial inspection. Check out the following before donning your own body camera.